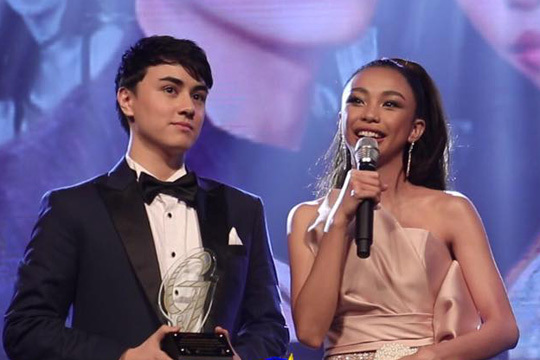 Media giant ABS-CBN triumphed at the 50th Guillermo Mendoza Box Office Awards, earning recognitions for its films, programs, artists, and personalities in more than half of the total awards categories. Box office phenomenon The Hows of Us led the winners, winning the Golden Jury Award for Highest Grossing Film of All Time. 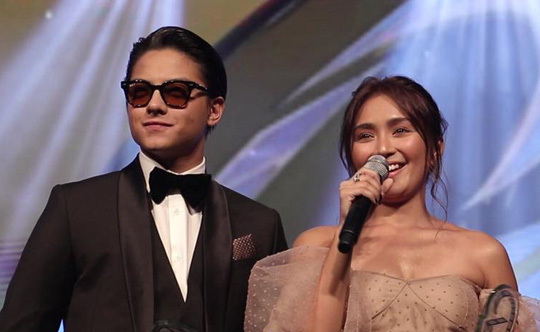 Lead actors Daniel Padilla and Kathryn Bernardo took home awards for Phenomenal Stars of Philippine Cinema, while director Cathy Grace Molina won Most Popular Director. Molina, along with fellow The Hows of Us screenwriters Carmi Raymundo, Crystal San Miguel, and Gillian Ebreo, also took home the award for Most Popular Screenwriters. Film producer Star Cinema won Most Popular Film Producer. Meanwhile, Vice Ganda, Dingdong Dantes, and Richard Gutierrez each won a Phenomenal Star of Philippine Cinema Award for their performance in audience favorite Fantastica. Kim Chiu, meanwhile, won Film Actress of the Year while stars of hit comedy Ang Dalawang Mrs. Reyes Judy Ann Santos and Angelica Panganiban were both named Comedy Actress of the Year for Movies. Co-star JC De Vera, on the other hand, was named Movie Supporting Actor of the Year. Halik stars Jericho Rosales and Yam Conception won TV Actor and Actress of the Year (Primetime Drama) respectively, while its cast collectively won Best Acting Ensemble in a Drama Series. Joshua Garcia and Julia Barretto, who starred in movie I Love You Hater and TV drama Ngayon at Kailanman won Prince and Princess of Philippine Movies and Television. Playhouse stars Donny Pangilinan and Kisses Delavin, on the other hand, won Most Promising Male and Female Stars for Movies, respectively. Hashtags member Jameson Blake won Most Promising Male Star for Television. Meanwhile, in the programs category, primetime hit FPJ’s Ang Probinsyano won Popular TV Program while I Can See Your Voice won Popular TV Program (Talent Search/Reality/Talk/Gameshow). Kapamilya hosts Luis Manzano and Toni Gonzaga also took home awards for Male and Female TV Hosts of the Year, respectively. Industry veteran Eddie Garcia, who last appeared on FPJ’s Ang Probinsyano, led the special awardees, winning a Golden Jury Award for All Time Favorite Actor. It’s Showtime host Anne Curtis. on the other hand, won a Golden Jury Award for Excellence as Millennial Entertainer. Also earning a special nod were DZMM Radyo Patrol 630 and DZMM TeleRadyo anchors Anthony Taberna and Gerry Baja, who won the Public Service Award for Dos por Dos. In the music category, Ogie Alcasid won Male Concert Performance of the Year while new Kapamilya Regine Velasquez won Female Concert Performance of the Year. Moira Dela Torre won Female Recording Artist of the Year while Alex Gonzaga and Juan Karlos “JK” Labajo won Promising Female and Male Recording Artist of the Year. International singing sensation TNT Boys won Promising Male Concert Performers of the Year while Xia Vigor won Most Popular Female Child Performer. Donny Pangilinan and Kisses Delavin won Most Promising Male and Female Stars for Movies, respectively. Now on its 50th year, the prestigious Guillermo Mendoza Box Office Awards is an awarding ceremony honoring the actors, actresses, showbiz personalities, movies and TV programs in the Philippines.